You've already seen them all over the interwebs: burnt edge flowers. But, do you know how to make them even more inexpensively? If there's anything I know how to do, it's budget crafting! Bright Idea: This would be a great way to pass your wedding dress along to your daughters. 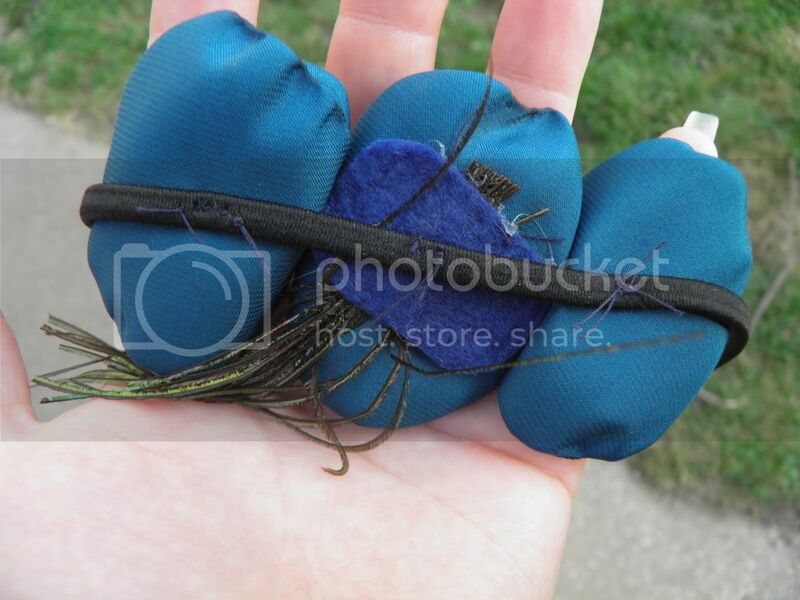 Cut it up and make it into hairpieces and corsages for the whole wedding party! 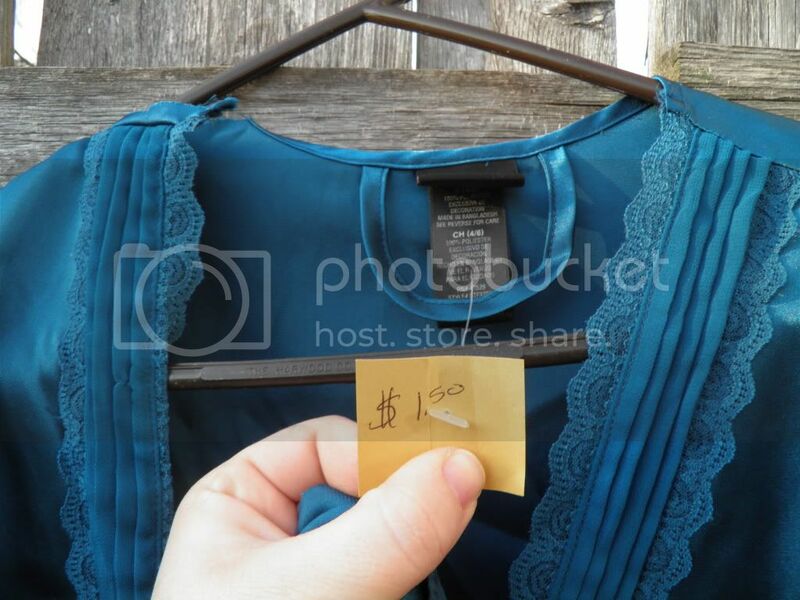 This was the lovely polyester specimen that I found at my local thrift store. 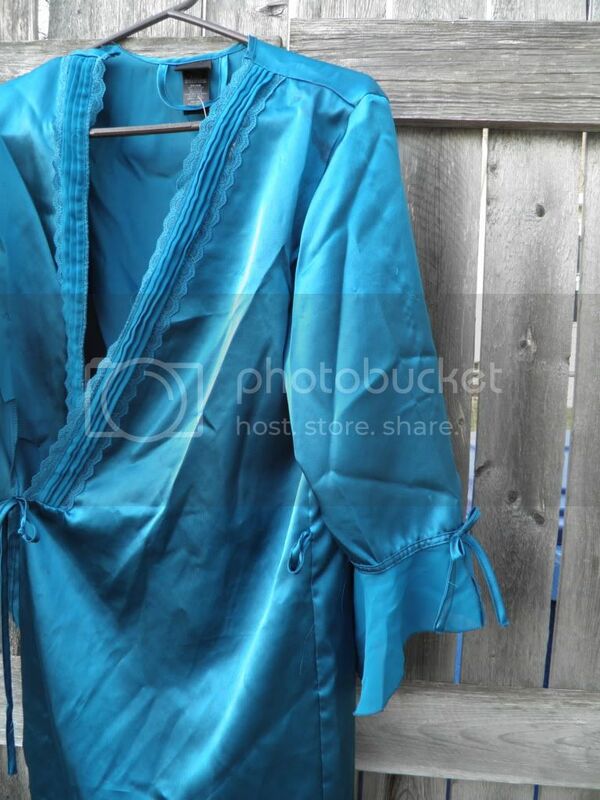 The shimmery sapphire blue color was gorgeous and the robe cost $0.75 on 1/2-off day. Another idea: ask for fabric scraps from people you know or from people on Freecycle. I acquired some white and blue satin fabric from someone on Freecycle that was moving. Score! 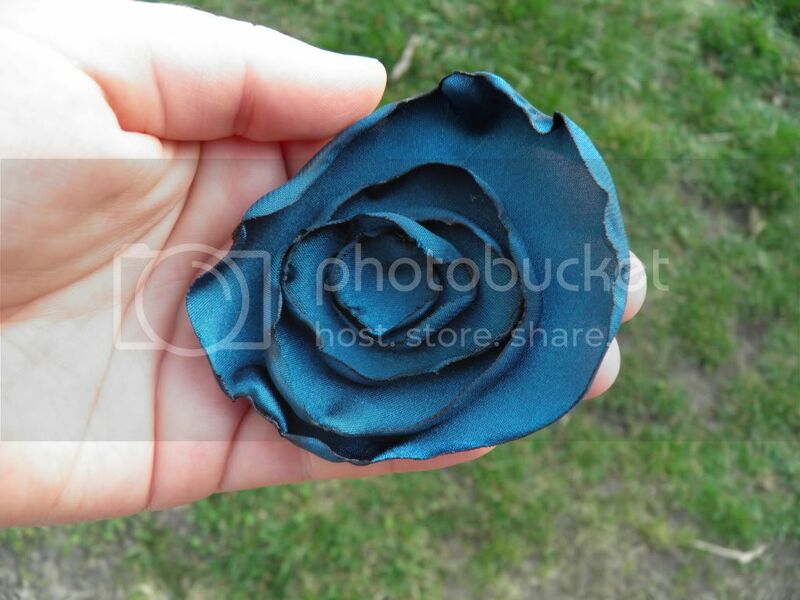 So really, you could make burnt edge flowers for FREE! Next, cut the fabric into about five concentric circles. Don't get too fussy, because once you burn 'em, they'll be uneven anyway. The first circle should be around 4-1/2-ish inches and the last about 1-1/2-ish inches. 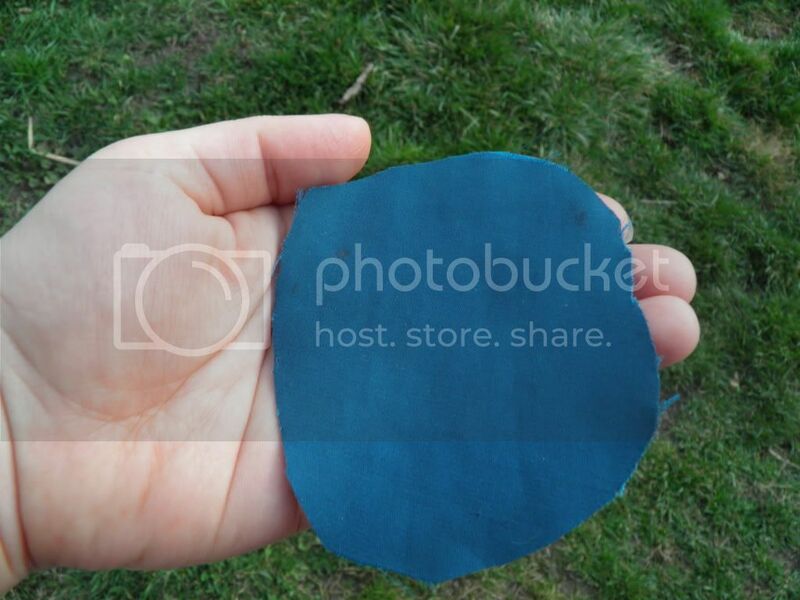 Take each circle and burn the outside edges by exposing the edges to a candle flame. DO NOT put the fabric directly in the flame. Start a few inches away and move closer as you feel comfortable until the fabric starts melting and curling up a bit. Melt all the way around each circle. Please be careful with the smaller circles so that you don't burn yourself. You could even use tweezers or tongs to try to avoid getting burned. Put the circles inside each other to create your "flower." The way you decide to embellishing the flower is up to you. I sewed some pearlescent beads to the center of mine. I also attached peacock feather strands to one of the flowers. Buttons, charms, it's up to you! 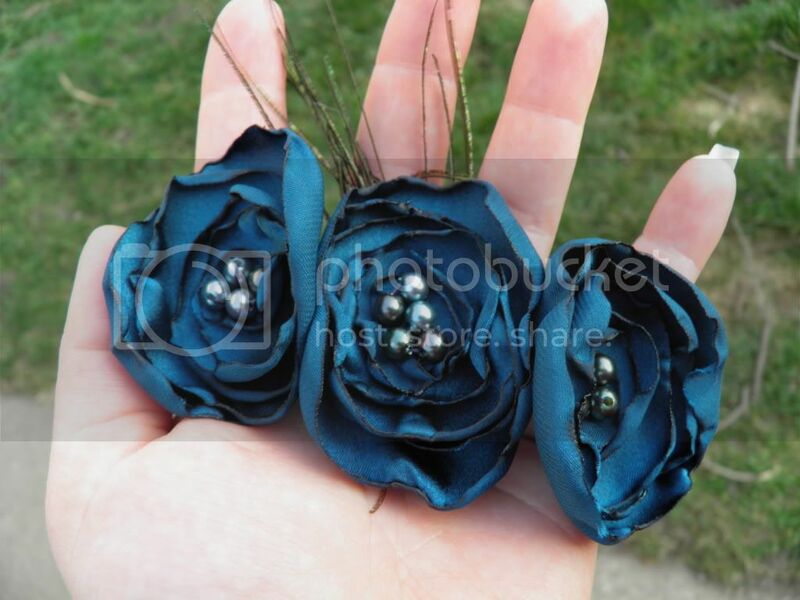 Then, you can either make your flower into a lapel pin, hair pin, headband, shoe clip or other adornment by simply using a glue gun or needle and thread. 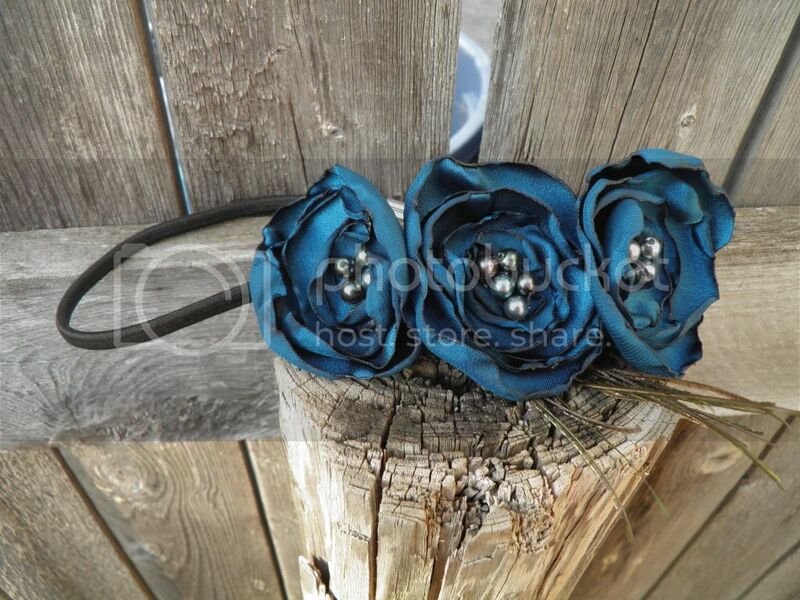 I sewed a set of three burnt-edge flowers directly onto a stretchy headband. If I were to do the project over, I would have sewed all three to a single strip of felt first and then attached them to the headband. The flowers kind of pull apart and form gaps otherwise. Another cheap trick: you can buy packages of stretchy headbands at discount or dollar stores. Check there first! I got like 10 black headbands for $2. 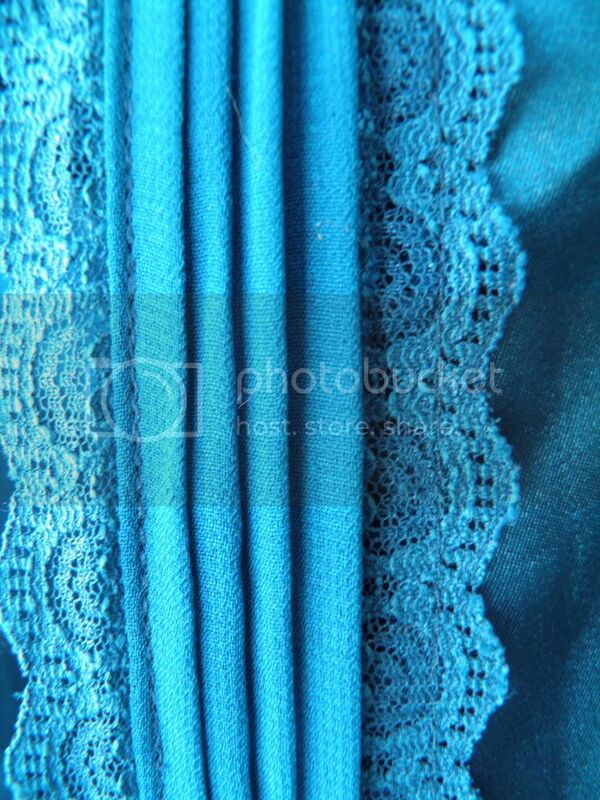 Now my mind is working on what to make with all that beautiful lace trim...hmmm. Any ideas?